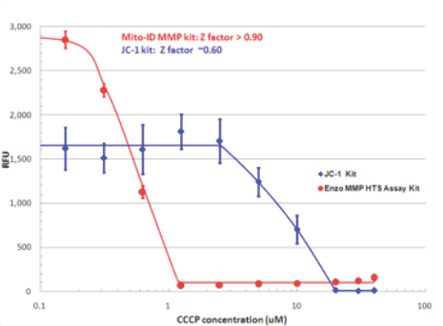 Assessment of mitochondrial function with MITO-ID® Extracellular O2 Sensor Kit (A) or traditional ATP assay (B) following treatment with mitochondrial inhibitors (Oligomycin, Rotenone, Antimycin), uncoupling agent (FCCP), or control (DMSO). 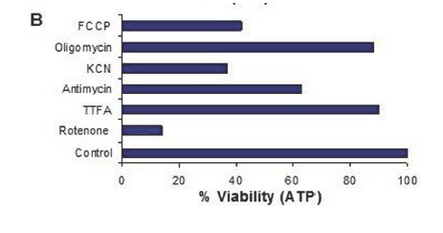 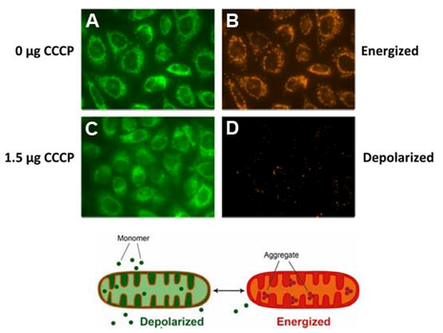 Results illustrate that drug-induced mitochondrial dysfunction is evident immediately post-treatment (A) despite varying levels of viability @ 24 hours by ATP assay (B). 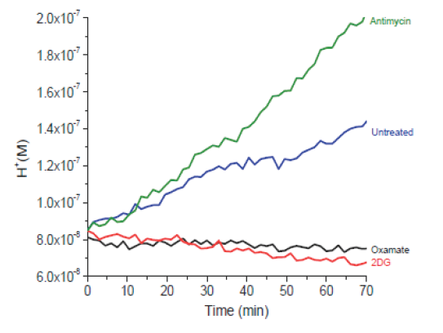 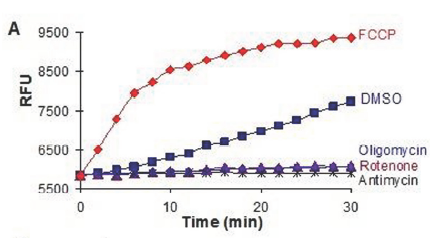 Acidification profiles of HepG2 cells treated with glucose transport inhibitors (2DG, Oxamate) or mitochondrial inhibitor (Antimycin) relative to control.